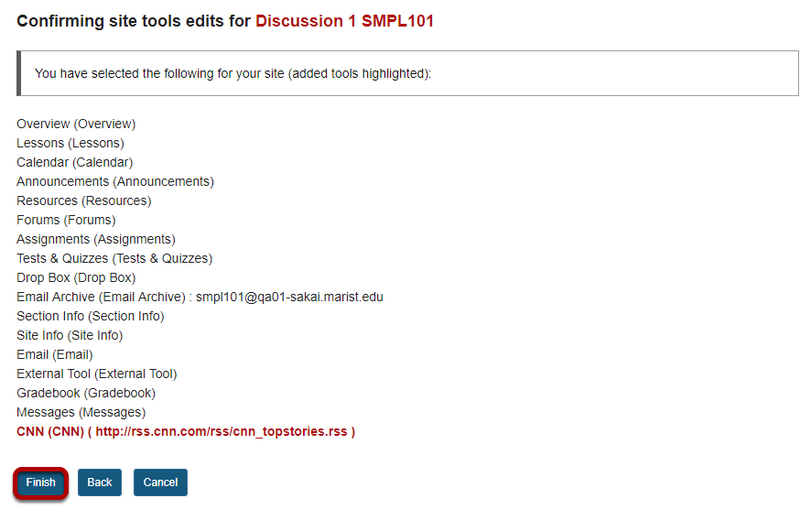 Sakai Community DocumentationSakai 19 User Guide (English) NewsHow do I add a News tool? Zoom: Click Finish to complete the site tools edit. Next: How do I view News tool content?